Just a quick outfit post from me! Also I wanted to thank everyone who has entered and tweeted about the giveaway so far, it's been amazing! If you haven't done so yet you have until this Monday to enter. I got this dress a few days ago from Primark in the sale. I never even bother looking at the sale racks in Primark because they're always a mess but this caught my eye, and luckily the only one left was in my size. It was £5 down from £12, bargain! I hate sleeveless things so I wore this over a black top. I love it. 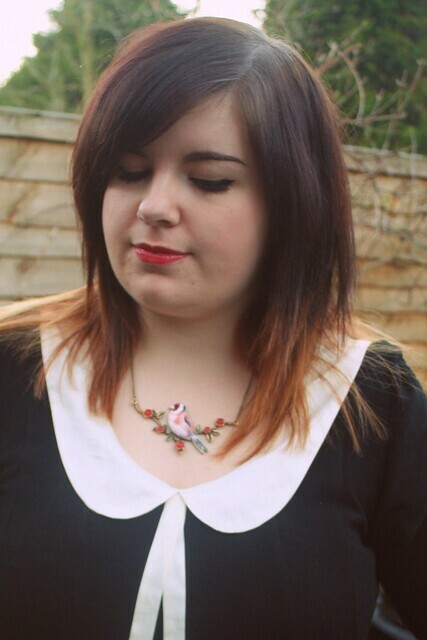 The necklace is new, I couldn't resist it! And I also wanted to share a song by Scottish singer Emma's Imagination that hasn't left my playlist for the last week. It's beautiful. Edit: Just got told it's a cover, originally by Bic Runga! Thanks rainbowstripe. Beautiful song, beautiful voice!! Who is she????? I love the dress - really suits you, I'm kind of craving peter pan collars atm...yet to jump on the bandwagon but I expect that'll happen pretty soon! This is a gorgeous outfit! I love everything about it! I saw the dress and loved it but then I saw the picture of your necklace and I seriously can't get my eyes off it! So amazing! I love the dress and I really couldn't tell it was sleeveless in the pictures. 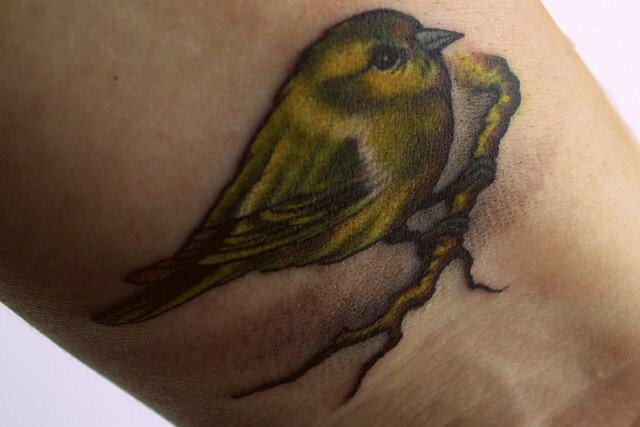 I also love your wrist tattoo - I've got a tattoo on my shoulder which didn't really hurt but I imagine that one did? That dress is beautiful!! Looks so good on you, fits beautifully. Will have to check if they have any stock in my Primark when I am next over that way. Beautiful dress, I never brave the Primark sale rails, but maybe I should! 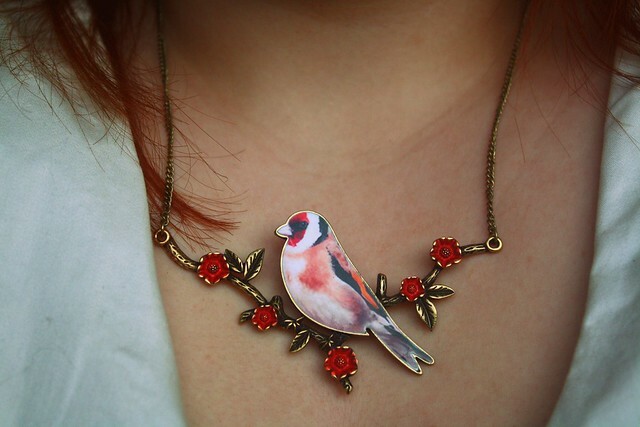 The necklace is beautiful, I love anything with birds on! Love the rings - reminds me that I need to stock up on accessories! Seriously, it wasn't until I read your post that I realized you had layered with a shirt underneath. Great job! That necklace is simply amazing! Lovely rings as well! The song is actually a cover, the original is by a New Zealand artist called Bic Runga, it's called Drive. Also I really love your dress! 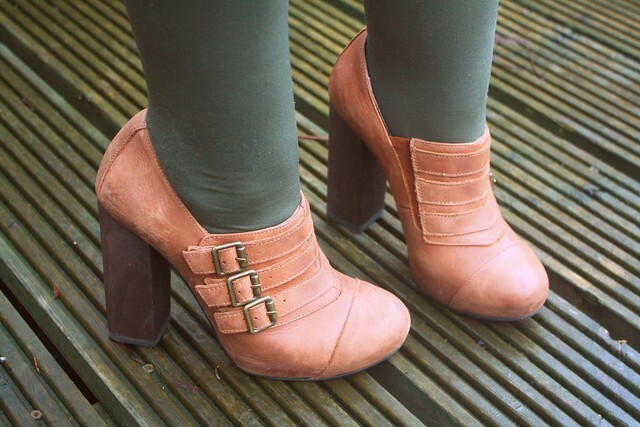 I would never guess those shoes are primark! lovely! I can't get enough of your outfits! 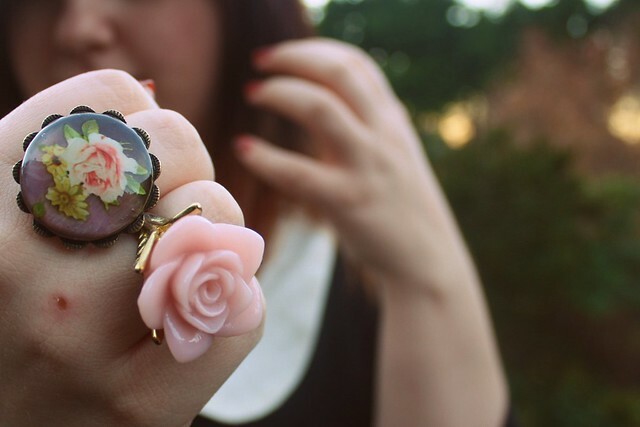 The giant flower ring is to die for and I looove the song. This outfit is so classic and beautiful! Your jewelry is so dainty, I love it. That's very clever to layer the long sleeve shirt underneath. I didn't notice that it wasn't a long sleeved dress! The cutest collar and the prettiest necklace you have. I thought the top and dress came as one! I love love LOVE that dress and those rings! Your tattoo is so cute, did it hurt alot? I love your shoes too, they have a look of Chloe about them. I'm always in awe of your ring collection! This is such a gorgeous outfit, I love the necklace and the collar of the dress. Ooh that dress is such a bargain! I couldn't even tell it was sleeveless until i started reading hehe. I'm not keen on sleeveless things either, not really practical in winter either! I really love that dress on you - its amazing! and i adore the dress on you too! peter pan collars are the best. I love everything about this outfit. I have to come visit your blog more often because I love that you post songs often. I'm a music and fashion junkie.